Outstanding signature building, great location near Hwy 401 & 407. 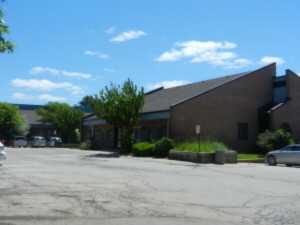 Free surface parking – 4 stalls per 1,000 SF leased. Renovated common areas. Additional Rent includes in-suite janitorial. With An Interior Koi & Turtle Pond And An Abundance Of Exterior Green Space, 2550 Argentia Offers Quiet Office Space In A Busy Neighbourhood.